After Ivan and Jen Cooper met in Cape Town in 2012, the duo decided to backpack on foot from Cape Town to Europe in 2013. Love soon followed and their first son, Edmund, was born in 2014. In 2017, the second addition to the adventure-loving Cooper family, Alandria, made her appearance. 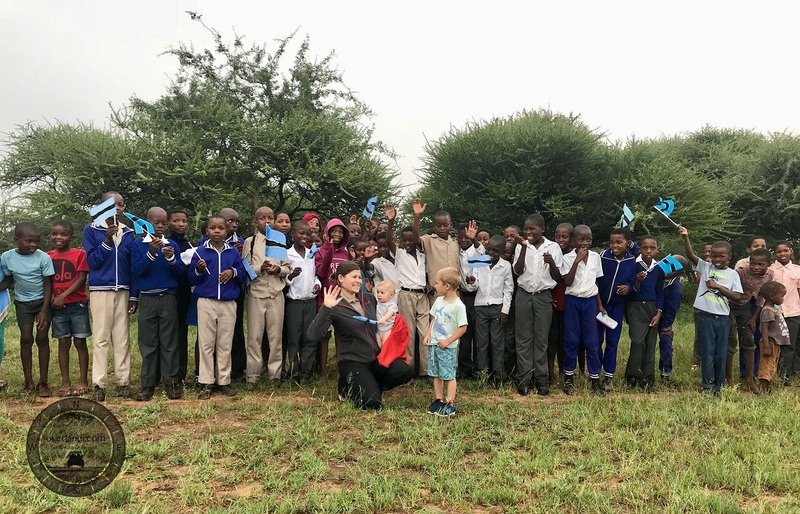 When I heard about Expedition Overlandi, which uses Tracks4Africa for navigation, I couldn’t wait to get in touch with the inspiring parents. What’s at the heart of the Coopers’ decision to explore Africa? 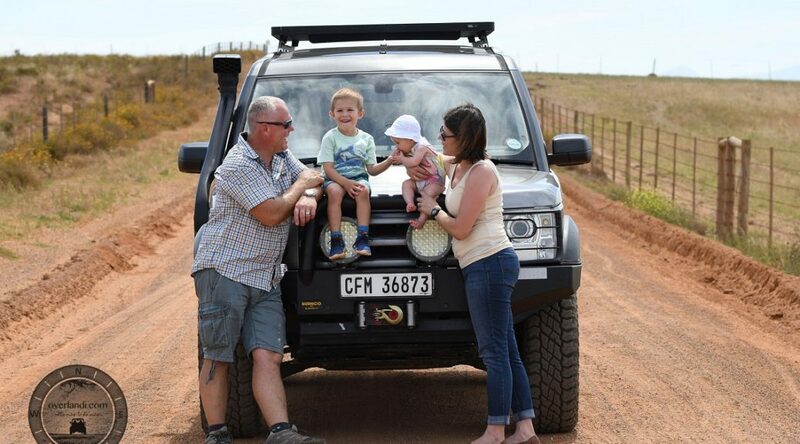 Even more intriguing, what’s it like traversing Africa with two small children in the back seat? T4A chatted to mom Jen to find out more about the expedition and ammo crates filled with toys. How did the expedition come about? Having heard about our previous backpacking trip through Africa, a large company approached us to take medical supplies up the continent to outlying areas. We jumped at the opportunity as we had often talked about doing a similar trip again, but this time with the children and by car. Although the initial partnership didn’t work out, we were excited about the journey and decided to move forward in a similar vein with other sponsorships. Ivan and I believe it’s important to give and to invest in children and their communities. We provide basic school and first-aid supplies to places like rural schools, orphanages and medical clinics. We also have support to provide mosquito nets, shoes, eyeglasses and clean water solutions to locations we’ve assessed for long-term partnerships. Meeting some learners from a school in Botswana. When did the journey start and where are you currently? We left Cape Town on 24 February 2018 for Cape Agulhas and are currently in Limpopo for a joint partnership with Land Rover Defender Trophy at the end of April. Before coming back to South Africa, we spent about a month in Botswana, travelling from Gaborone through the Central Kalahari Game Reserve, up to Maun, and then to Kasane, where we spent a couple of weeks. On the road, the Coopers call this wild set-up home. After Defender Trophy, we plan to head back to Kasane for more projects. 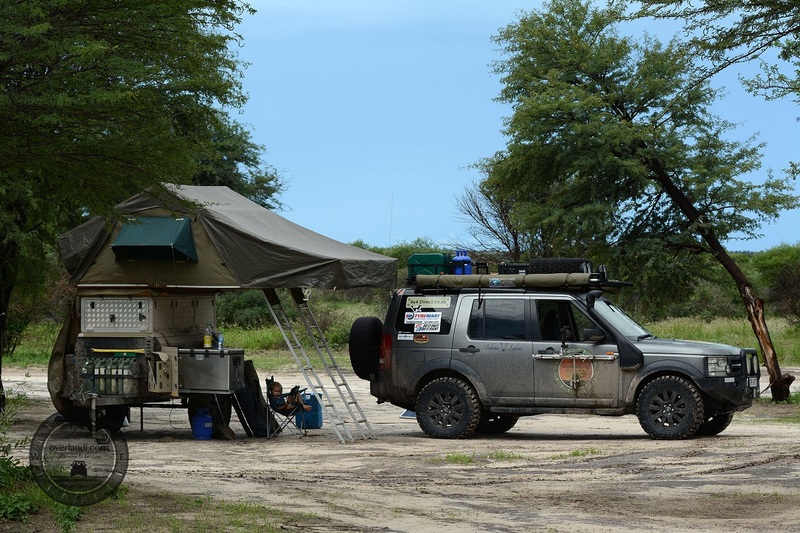 From there, we will cross into Namibia and head across the Caprivi to the eastern side of Namibia, where we plan to go through Khaudum National Park south to Tsumkwe. From there it’s a bit of a zig-zag en-route to Kaokoland, the remote north-western Kunene region, where we will make stops at some of the tiny bush clinics and do a recce for clean water projects. Next up is Zambia, Tanzania, Uganda and Kenya. In Kenya, we will have to assess the safety of going further north with the kids. If and when things are settled and safe, we’ll go through Ethiopia, South Sudan and Egypt. If not, we’ll ship our vehicle from either Dar es Salaam in Tanzania or Djibouti. 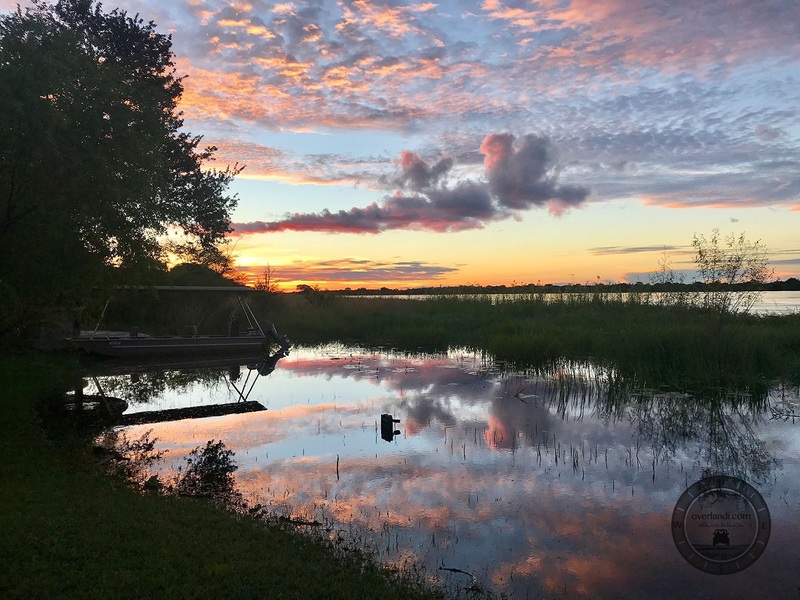 A setting sun creates dreamy pinks and blues on the Chobe River. How did T4A help to plan the journey? We used the T4A paper maps extensively in our planning and continue to use them on the road. We have found them to be the most comprehensive and helpful maps around and love the addition of off-road tracks. We prefer to travel on the lesser roads and really get out into a region if possible. T4A makes this possible. The T4A GPS Maps are exceptionally useful to spot off-road tracks as we’re driving. With the live tracker on our website, courtesy of T4A, people can keep up with our journey and route. We also use the POI search engine on the T4A website to get information about routes, towns and accommodation. Travelling with two little ones has actually been easier than we thought, but there are still challenges. Thankfully, Edmund, who will be four next month, loves adventures in the Landy and looking for animals. He is great in the car and is really flexible, so that makes things easy. Alandria (or Landi) soon turns one and has been a bit more challenging in the car. We tend to only drive for a couple of hours and then take a break. As long as she can stretch her legs for a bit, she’s fine. Both kids have one ammo crate for clothes and one for toys, and Landi has a travel play yard and pop-up tent. Those items are lifesavers. 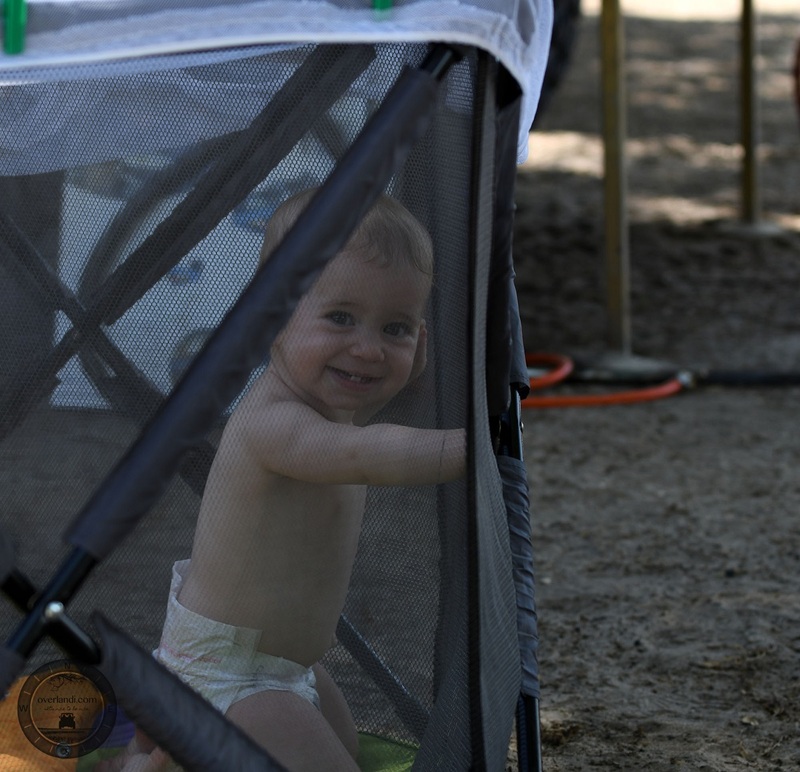 We’re lucky in that both kids seem to enjoy camping and the outdoor and travel life. Alandria enjoying some fresh air in her travel play yard. What do you want to teach your children with this expedition? 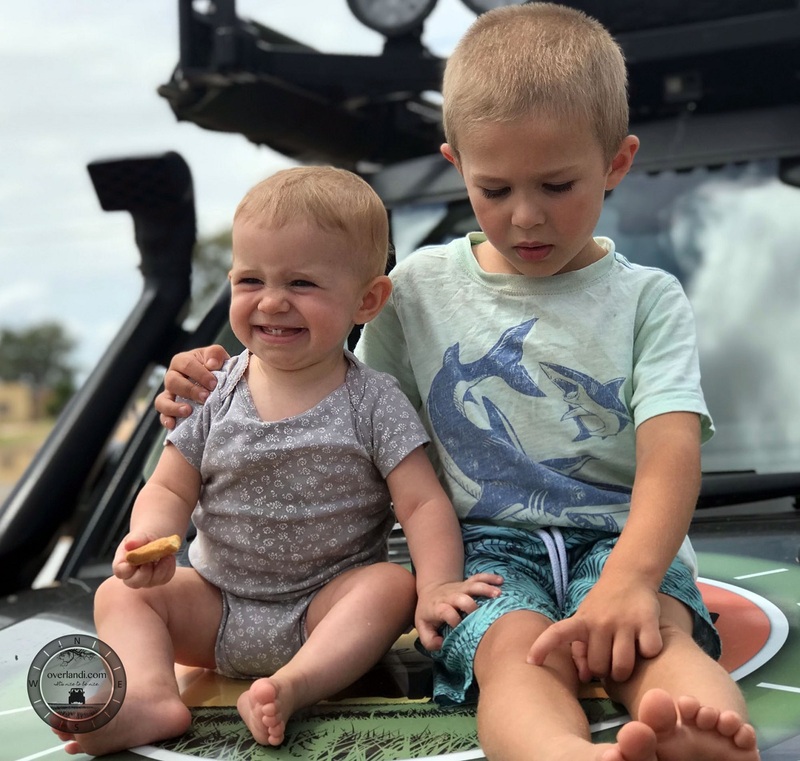 Edmund is obsessed with Land Rovers and fire trucks and loves helping his dad with the car. Landi is practising her walking and standing skills and already has quite the personality. In terms of the journey, we want our children to see that there is a big world out there to explore. While people may be different from them, they are the same in the ways that count, in things like compassion, kindness and generosity. We also want them to understand that it’s good to give back as you travel, which is why we’re focusing on projects like schools, orphanages and medical clinics. 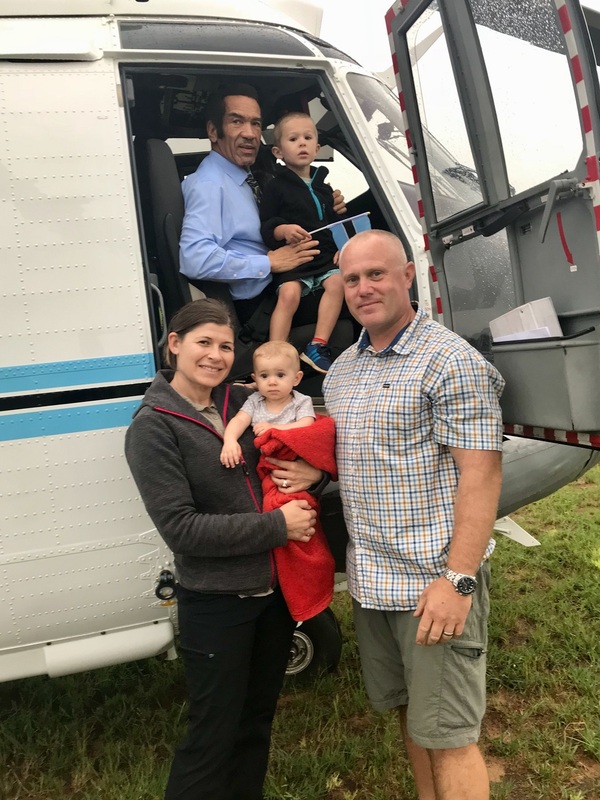 The family had the opportunity to meet Botswana’s former president, Ian Khama, during his last few weeks in office. Family travelling in Namibia is a great experience.